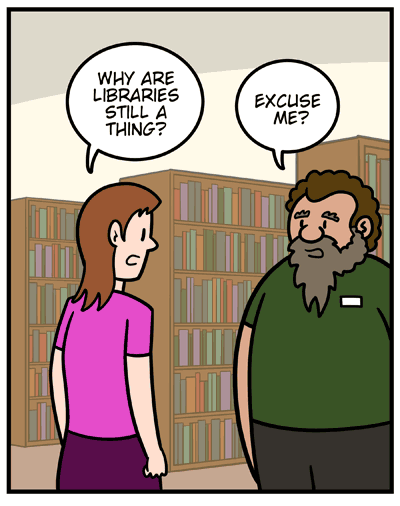 Patron: Why are libraries still a thing? Patron: I mean, I have a phone. 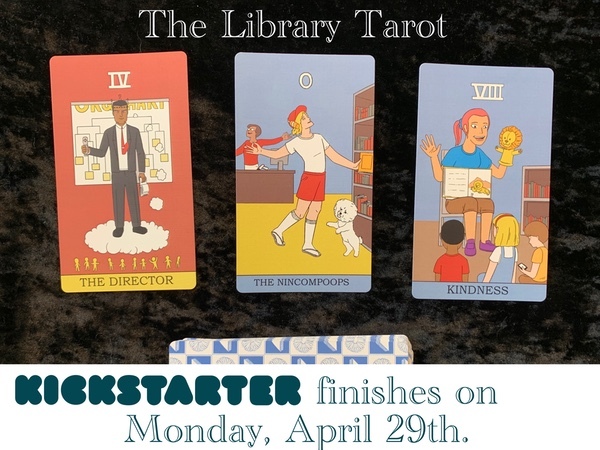 Martin: Well the library is not, nor has it ever been, a phone booth. 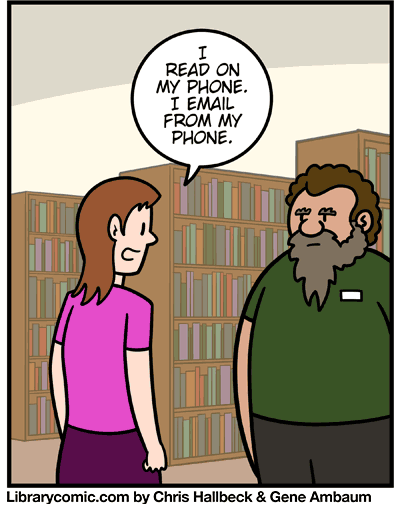 Patron: I read on my phone. I email from my phone. 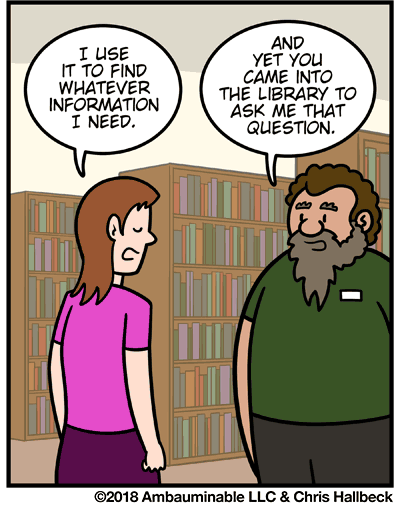 Patron: I use it to find whatever information I need. Martin: And yet you came into the library to ask me that question. 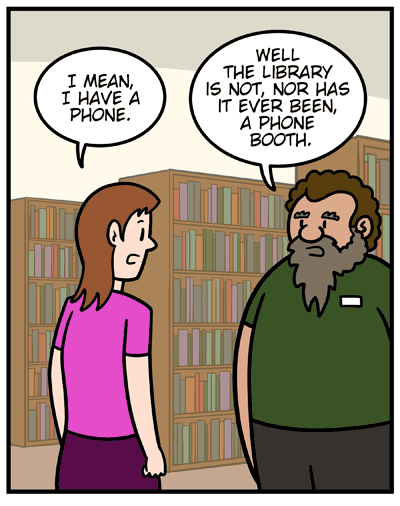 For someone like that, there’s a perfectly good answer as to why libraries are a thing… free wi-fi!